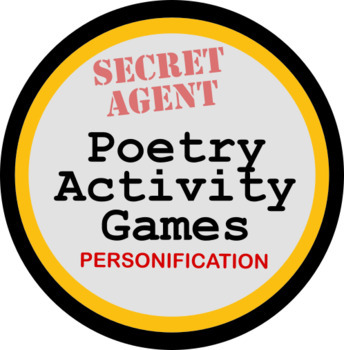 A quick print-and-go game for primary students to be excitedly introduced to and/or practice finding personification in poetry. 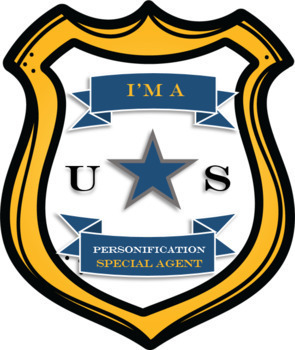 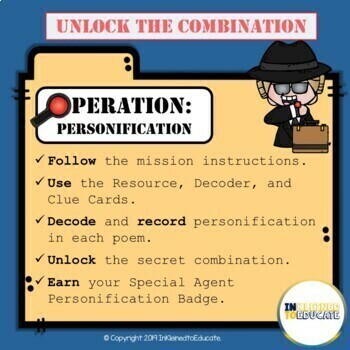 Students, Agents in Training, work with a partner (or by themselves) to decode each poem and find the correct combination to unlock a metaphorical safe to earn their Special Agent Personification badges. 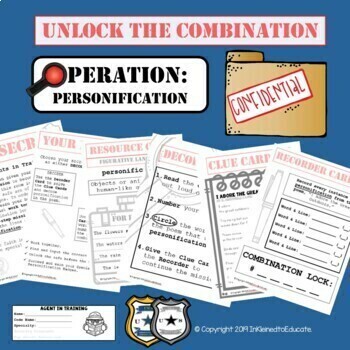 If you like it, be sure to leave a review!